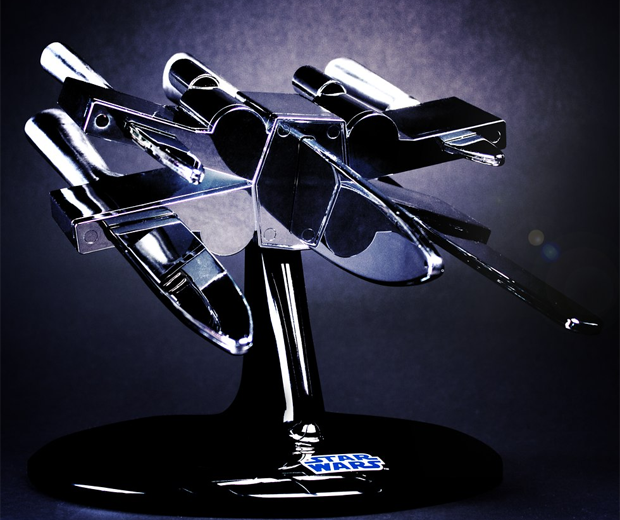 There are so many places to store knives these days. In drawers. In the wall after you’ve had a few. In people and family pets. 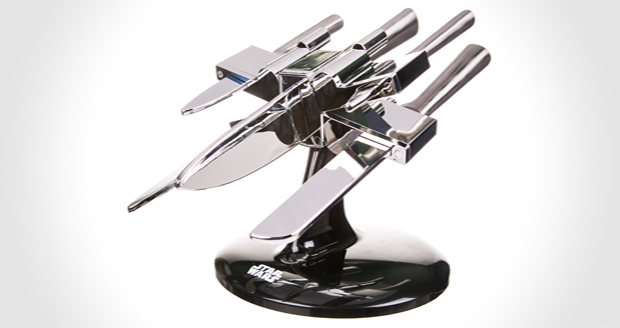 But avoid the hassle of the latter and keep all your sharp objects in this ever so fancy Star Wars X-Wing Knife Block. The block itself is made from rugged plastic apparently, which I guess means it has stubble and doesn’t talk about its feelings. 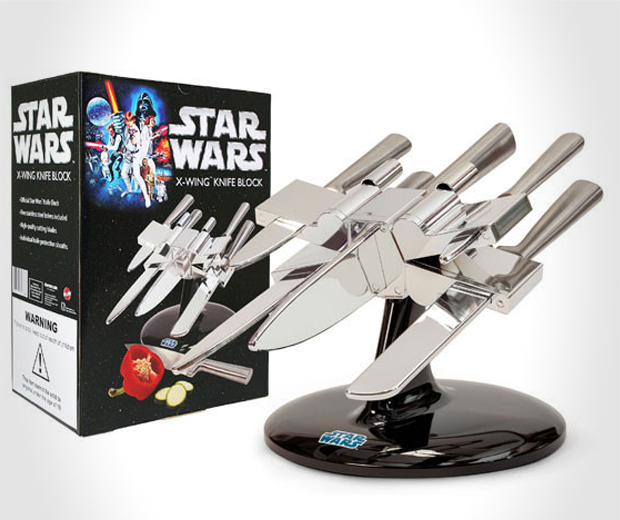 The polished chrome effect makes it a classy addition to anyone’s kitchen, and the five high quality stainless steel knives can be used to chop fruits and vegetables, or cut out George Lucas’ heart when he fucks up the next Star Wars trilogy. 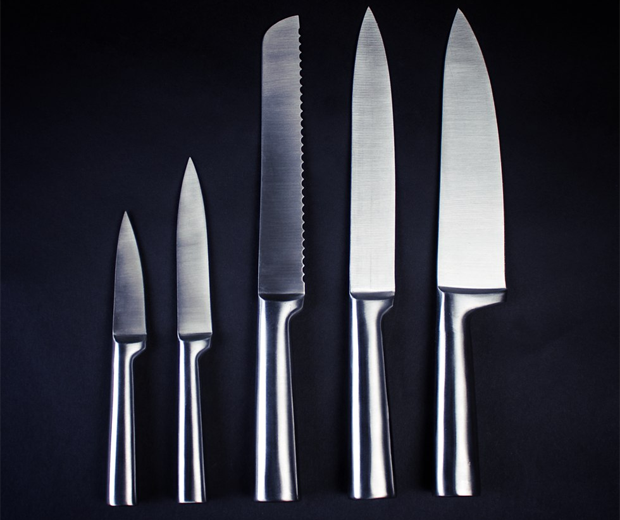 The knives included are a cook’s knife, a bread knife, a carving knife, a utility knife and a paring knife. All of these knives would make excellent holes in that bearded arse-blister.